Powder Coating is tough. Powder Coating looks great. Powder Coating lasts a long, long time. Powder Coating is a high quality finish that's found on thousands of products you come in contact with each day. It makes products attractive, durable and extremely scratch-resistant. How does Powder Coating work? 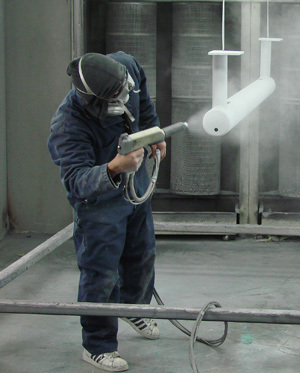 Powder Coating is a dry finishing process. Finely ground particles of pigment and resin are electrostatically charged and sprayed onto the products to be coated. The parts to be coated are positively grounded so the charged particles of powder adhere to them. The parts are then baked in a curing oven, which melts and fuses the particles into a solid coating. The result is a sleek, strong, high-quality finish. The powder coating process itself offers another advantage; it is environmentally friendly and virtually pollution-free! 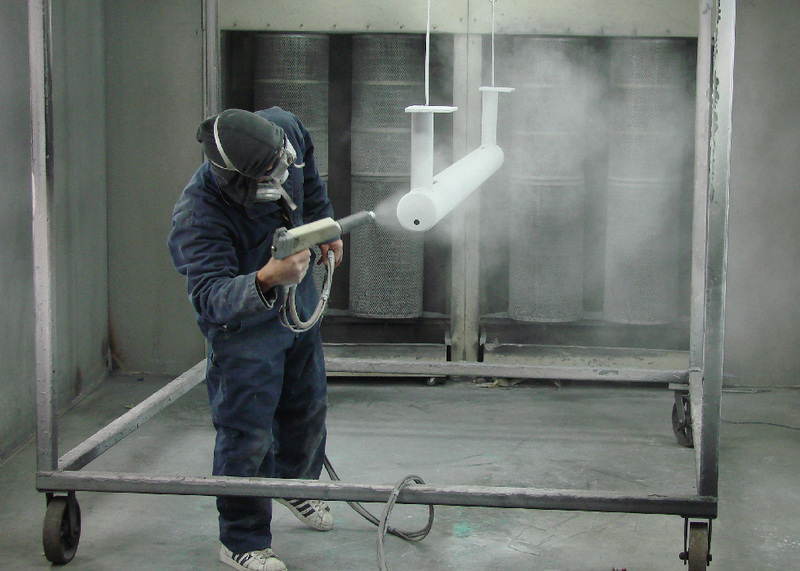 Unlike liquid paint, no solvents are used in powder coating, so only negligible amounts of VOC’s are released into the air. In addition, unused or over-sprayed powder can be recovered, so any waste is minimal and can be disposed of easily and safely. Powder coating is the fastest growing finishing technology in North America, representing over 15% of all industrial finishing applications. Powder coating is the stronger, tougher, better choice. Powders are available in a wide variety of colors and textures. Check out our COLORS page to see a sample of the different colors that are available.